Wrongful death is a legal term used to refer to any death that is the result of another person’s negligence, malpractice, or legal fault. It is important for the family members of wrongful death victims to know that they may be entitled to compensation for their loss. If your loved one was killed through the fault of another, contact our law firm. We have the resources, experience, and knowledge to help you. 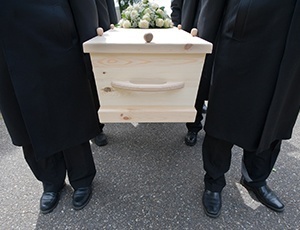 Wrongful death cases are emotionally charged, sometimes involving many parties. Our attorneys handle wrongful death cases with the determination that such an enormous loss deserves. We have been successful obtaining compensation for clients' losses under the California wrongful death statute. Equally important, our success has often led to a formal acknowledgement of the loss caused by the negligent party. In some cases, we have been able to prevent future deaths with our claim, forcing the defendants to correct the conditions that caused the fatality. All of these are good reasons to file a wrongful death case. For our attorneys, however, the most important result of a successful claim is the knowledge that the families have the resources they need to put their lives back together. Proof that the death arising from incidents like these was legally wrong often requires sophisticated expert analysis by a medical pathologist or accident reconstruction specialist. Investigating the fatality early is extremely important in such claims. If you have suffered the loss of a loved one because of suspected misconduct or negligence, contact our Northern California law firm to learn how we can help. We serve California communities such as San Francisco, San Jose, Sacramento, Stockton, Santa Cruz/Monterey, and throughout Contra Costa County.